If you’re wary of buying a vision support product with potential fillers, we’ve got the solution. Doctor’s Best Lutein with OptiLut. Check it out: it has all-natural lutein and zeaxanthin components. Many customers swear by this combo. Maybe you will, too, after you enjoy reading another awesome review. Simple ingredients. Lutein and zeaxanthin. That’s it. Versatile components. Both act as potent carotenoids and antioxidants. Great reputation. Many customers say it works. Period. If you’ve read our B5 vision product reviews, good for you. Whether you’re into bodybuilding or not, you need healthy eyes – there’s no disputing that. We’ve seen some vision supplements pull out all the stops. For instance, Jarrow Formulas Vision Optimizer has an impressive 500 milligrams of taurine per serving. It also has a double dose of polyphenols. Recently, we also raved about NOW Ocu Support – its antioxidant content is second-to-none. Now, make way for Doctor’s Best Lutein with OptiLut. It earns the distinction of being the simplest vision support product we’ve sized up so far. Doctor’s Best Lutein with OptiLut has just two ingredients: free lutein and zeaxanthin. Now, a product’s simplicity doesn’t mean it will eat the competition’s dust. In fact, a simple product can be potent. Besides, simplicity resonates well with many consumers. Doctor’s Best Lutein with OptiLut “maintains healthy visual function, supports macular pigment density, and supports cognitive acuity,” per its official website. Doctor’s Best Lutein with OptiLut’s lutein and zeaxanthin combo can help boost your eye health. The first key ingredient is 20 milligrams of free lutein (from OptiLut lutein esters) per serving. If you’re familiar with vision support products, lutein is one of the most common ingredients you’ll see. However, Doctor’s Best Lutein with OptiLut has a special feature – its ingredients are by-products of OptiLut. “OptiLut is a 100 percent natural lutein concentrate obtained from marigold extract (Tagetes erecta) through a purification process without any chemical transformation,” per Doctor’s Best’s official website. “It supplies highly-bioavailable, natural source of lutein and zeaxanthin esters,” per the same source. One hundred percent. No chemicals. Natural. These are the words we want to see in a product description. Lutein is a carotenoid and antioxidant found in fruits and vegetables (such as kale, turnip greens, collard greens, spinach, etc.) and the retina. Ocular health experts believe your macula (the part of the retina which is responsible for the center field of our vision) and the lens (part of the eye which focuses light on the retina) easily absorb lutein. Listen, folks: your eyes easily absorb just 20 out of the more than 600 carotenoids found in nature. If you do the math, that’s one carotenoid out of every 300. Fortunately, lutein is one such carotenoid. As an example, if your eyes’ lens become fogged up, they may be damaged due to oxidation. That gives you more reasons to consume more antioxidants, folks. Lutein helps filter out short-wavelength ultraviolet (UV) light which may damage parts of the eye, such as the retina. 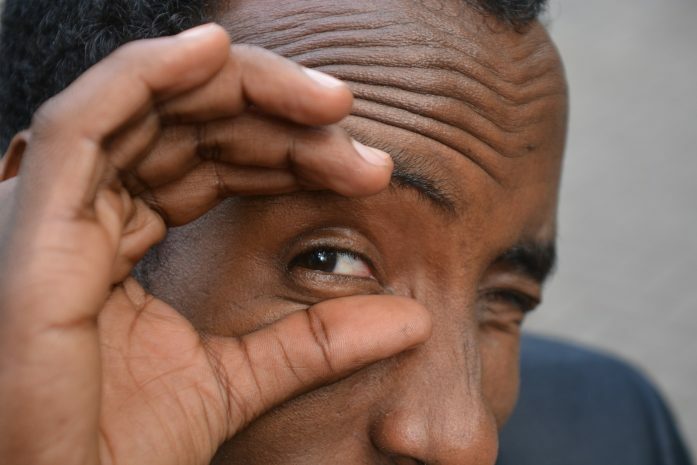 For her part, Dr. Johanna M. Seddon of Harvard University (via the American Macular Degeneration Foundation) says an individual needs six milligrams of lutein daily to lower the risk of macular degeneration by as much as 43 percent. Not only that, “Lutein may lower the risk of developing AMD (age-related macular degeneration) and even cataracts,” per the American Macular Degeneration Foundation. Doctor’s Best Lutein with OptiLut happens to have more than three times Dr. Seddon’s prescribed daily intake of lutein. With that, we feel this product will boost your eye health like never before. So, when you take Doctor’s Best Lutein with OptiLut, expect other areas of your health to improve. The final ingredient is four milligrams of zeaxanthin per serving. This is another carotenoid which is found in leafy green vegetables such as kale, Swiss chard, spinach, and watercress. Zeaxanthin helps form a yellow macular pigment which shields the eye from harmful ultraviolet light. Just like lutein, zeaxanthin also acts as an antioxidant which stops free radicals dead in their tracks. You can see lutein and zeaxanthin have similar functions in terms of eye health. Taking them in supplement form will help your vision in more ways than one. “The National Eye Institute found that taking certain nutritional supplements every day reduces the risk of developing late AMD,” per the American Optometric Association’s official website. “Beyond reducing the risk of eye disease, separate studies have shown that lutein and zeaxanthin improve visual performance in AMD patients, cataract patients, and people in good health,” per the same source. The takeaway: Doctor’s Best Lutein with OptiLut is a simple vision product which should deliver optimal results. Free lutein (from OptiLut lutein esters), 20 mg: A carotenoid and antioxidant which filters out harmful ultraviolet light from the eyes. Lutein also helps ward off age-related macular degeneration (AMD) and cataracts. Twenty milligrams per veggie capsule should do the trick. Zeaxanthin (from OptiLut), 4 mg: Another carotenoid which helps form a yellow macular pigment. This pigment helps shield the eyes from ultraviolet right. Just like lutein, zeaxanthin’s antioxidant properties also help keep free radicals at bay. Doctor’s Best Lutein with OptiLut is one simple and potent vision product, folks. We laid out the facts. We told you lutein and zeaxanthin can help improve your eye health like no other ingredients could. 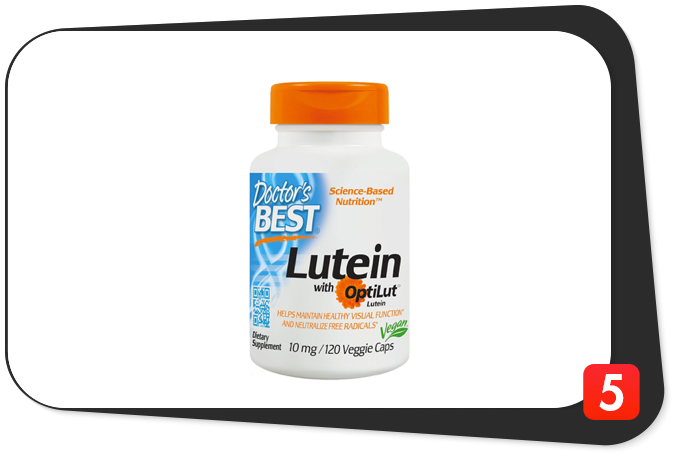 Plus, the customers have spoken – they swear by Doctor’s Best Lutein with OptiLut. Based on our research, approximately eight out of 10 consumers vouch for this product. Lutein and zeaxanthin are time-tested ingredients for good eye health. You can’t dispute their potent antioxidant properties and proven ability to protect your eyes from ultraviolet light. Even though many vision supplements have them, Doctor’s Best Lutein with OptiLut’s OptiLut component sets it apart from the rest of the field. Like we said, this is an 100 percent all-natural, chemical-free lutein concentrate and by-product of marigold extract. If these words describe a vision supplement, buy it. Don’t forget about lutein’s extra health benefits (better skin health, healthy blood sugar levels, and cardiovascular health), folks. We also love the manufacturer’s transparency: it reveals all of the ingredient amounts. No shady proprietary blends and dirty ingredients, either. The price isn’t too bad: one 120-veggie capsule bottle costs roughly $12.69. On the flip side, the only potential drawbacks are its taste and smell: some naysayers say these were the factors which turned them off. We say the taste and smell are all right. All in all, Doctor’s Best Lutein with OptiLut is one solid vision product. “Maintains healthy visual function, supports macular pigment density, and supports cognitive acuity,” per its official website. We agree with all of these claims. Doctor’s Best Lutein with OptiLut is a top-notch vision supplement which will make a difference. Doctor’s Best Lutein with OptiLut is intended for healthy individuals who want to improve eye and overall health and achieve their daily fitness goals. While Doctor’s Best Lutein with OptiLut has no glaring side effects, please consult your physician if you feel doubtful about any of its ingredients. Time-tested eye health ingredients. Has lutein and zeaxanthin. Extra health benefits. Lutein also helps boost skin and heart health and regulate blood sugar levels. Clean ingredients. Ingredients derived from 100 percent, all-natural marigold extract. Good reputation. Customers swear by it. Reasonable price. Approximately $12.69 for a 120-veggie capsule bottle. Taste and smell. Main complaint of the naysayers. The verdict is out, folks: Doctor’s Best Lutein with OptiLut is legit. Like we said, you can’t argue with natural lutein and zeaxanthin content. It all adds up: clean ingredients, good transparency, and a great reputation make for one top-notch vision support product. We highly recommend you buy Doctor’s Best Lutein with OptiLut and enjoy stellar eyesight for years to come.